If you have been accused or charged with a crime in Los Angeles and the surrounding areas, you need an experienced and top-rated criminal defense attorney who is serious about protecting you or your loved ones. The Blanch Law Firm Los Angeles has experienced criminal lawyers who can help protect your rights. Our attorneys boast a collective experience of over 50 years, and have represented thousands of clients facing charges ranging from state misdemeanors to federal felonies, from drug and violent crimes to corporate white collar cases. The Blanch Law Firm LA believes in the protection of constitutional rights, and to defend our client’s rights in the court of law aggressively and to the full extent of the law. A criminal charge on your record can be life-changing and yield permanent consequences, from preventing future job opportunities, to preventing you from buying a house or renting an apartment. Our commitment to fight for our clients via the ethical practice of law and not to take the first plea deal that can stain your record is part of our commitment to advocating justice for our clients. If you have been arrested or charged with a crime in Los Angeles County, or elsewhere in California, you’re probably scared, confused and concerned about you and your family’s future. We encourage all our clients to not answer any questions from the police, to politely say “I want a lawyer,” and to contact a Los Angeles criminal defense attorney as quickly as possible. It’s important to remember that police officers are trained to investigate crimes and collect evidence to build a case against you. Many people actually negatively affect their case to police through confessions, statements and other evidence tests. While it is always a good idea to cooperate with law enforcement, it is important to do it in a controlled environment with an experienced LA criminal defense attorney by your side. At the Blanch Law Firm Los Angeles, we take our responsibilities as criminal lawyers seriously and are ready to help you 24 hours a day, 7 days a week, 365 days a year. 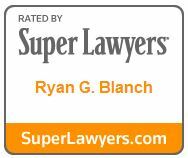 The firm is backed by managing partner Ryan Blanch, who has also been featured by Avvo (10.0 out of 10.0 rating) “Superb” and “Top Attorney Criminal Defense.” Mr. Blanch has also been featured as a 2014 “Super Lawyer” by Thomson Reuters as well as AV “Preeminent” rated by Martindale-Hubbell and “Top 100 Trial Attorneys” by National Trial Lawyers. Mr. Blanch has over 10 years of experience defending clients in all aspects of criminal defense, from state misdemeanors to federal felonies and white collar crimes. This wealth of experience allows The Blanch Law Firm Los Angeles to properly handle all types of criminal cases, from drug crimes and violent crimes, to major felonies, to defending industry and professional clients in fraud and white collar crimes. Our Los Angeles criminal defense attorneys are knowledgeable California and federal laws, and assist our clients with all criminal matters. California and the U.S. Department of Justice have highly qualified lawyers, sophisticated liberty and forensic experts, and near-unlimited resources to prosecute you. We urge all those charged with a crime in L.A. or the surrounding areas to defend themselves with top-rated criminal lawyers and attorneys. Serious criminal cases require serious representation. Not every lawyer has the ability and talent to defend you in a criminal court. The ability and talent of your attorney can have a significant impact on the outcome of your case. When you hire The Blanch Law Firm Los Angeles, you are assured of hiring a top-rated firm with experienced criminal defense attorneys. Please view our featured practice areas. We handle all criminal defense matters, not just those featured on this list. To speak with an experienced Los Angeles criminal lawyer about your specific criminal charge, please contact us. Contact a top-rated Los Angeles criminal defense attorney at The Blanch Law Firm today for a risk-free consultation by calling 213-336-3233. BBC news interviews Ryan Blanch on large corporate bribery case. Rated by Thomson Reuters as a “Super Lawyer” . 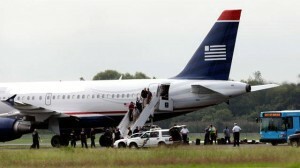 Our airline client avoids charges of antitrust while co-defendants face punishment. 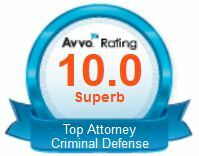 Martindale-Hubbell rates The Blanch Law Firm as AV “Preeminent” rated with a perfect score. 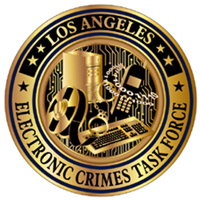 Our client was successfully defended against The FBI and the U.S. Secret Service, as part of the Electronic Crimes Task Force in Los Angeles. Our client accused of import/export charges of munitions, successfully defended after lengthy battle in court. The Blanch Law Firm client being investigated in securities fraud and Ponzi scheme allegations successfully avoids prison. 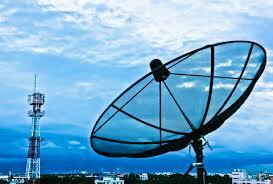 Our client successfully defended against FCPA charges.